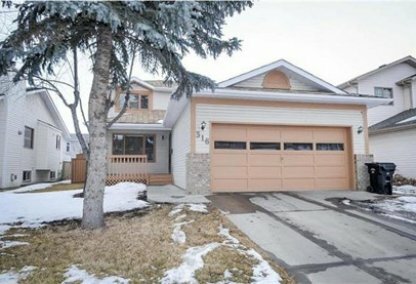 Search Sandstone homes for sale & just listed real estate in Calgary. The Sandstone Valley community is nestled among many parks and green spaces. It was established in 1982. 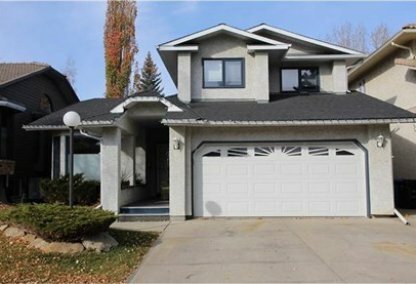 For information about the newest listings in Sandstone for sale or to schedule a private home showing, contact your Sandstone Calgary real estate experts today. Sandstone Valley housing market statistics: As of April 25, 2019 there are currently 20 properties for sale in Sandstone Valley listed as active, with an average asking price of $387,981. The highest-priced property is $569,900; the lowest priced property can be purchased for $249,900. Sandstone Valley neighbourhood listings have an average price of $252 per square foot, based on listings with 3.5 bedrooms, 3.3 baths, and 1,559 square feet of living space. Selling or buying a home in Sandstone Valley soon? Call your Calgary Homes real estate team, Justin Havre at RE/MAX First - 403.217.0003. Our local Sandstone Valley real estate agents team will help you locate all Sandstone Valley Calgary new listings. The Sandstone Valley neighborhood is made up of single-family detached homes, condominiums, and townhouses. There are approximately 6,500 residents in the community, and the home ownership rate is over 91%. Sandstone Valley shares a community association with adjacent MacEwan. The Sandstone MacEwan Community Association provides many neighbourhood programs including Boy Scouts and Girl Guides. They also sponsor Movies in the Park and Youth Days. The Nose Hill Library services Sandstone homes for sale. Sandstone Park resides within the neighbourhood and provides plenty of local amenities, with tennis courts and a baseball diamond. Nose Hill Park is another option available to members of the community. Golfers enjoy nearby Country Hills Golf Course. Shopping and entertainment are easy to find in close proximity to Sandstone Valley real estate, with Country Hills Town Centre and Beddington Town Centre nearby. Many children are within walking distance of Sandstone Valley community schools, Simons Valley Elementary School (Public) and Monsignor N. Anderson Elementary (Separate) (Year Round) included. Local high schools include a few options. Junior high schools include Simon Fraser Junior High (Public), St. Margaret K-9 (Separate) (Spanish), and St. Joseph (Separate) (Year Round). Notre Dame High School is the local high school. Thinking of buying or selling a home in Sandstone Valley? Let our local real estate agents help guide you through the purchase of your next home, or to expertly negotiate the sale of your current home. As local Sandstone Valley real estate agents, we're experts on the market dynamics unique to the Sandstone Valley real estate market. We'll get to work for you today! Contact Justin Havre at RE/MAX First - 403.217.0003 to learn more about buyer or seller representation. Planning to sell your Sandstone Valley home? Check out our free home evaluation, where you can instantly price your Calgary home price your Sandstone Valley home online, in minutes!